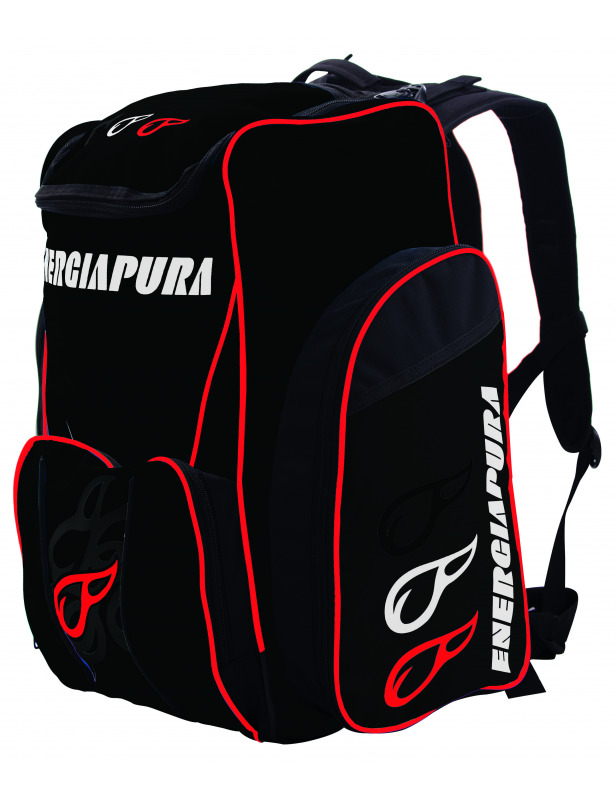 Backpack made for athletes, with two comfortable external pockets and two waterproof pockets on the bottom to store the boots separately from the rest of the material contained in the backpack. In the main pocket there is a divider to store delicate items and a zip pocket for valuables such as keys etc. The bottom of the backpack is made of a durable and waterproof material as well as having rubber parts to avoid damaging it. Capacity: 63 liters.